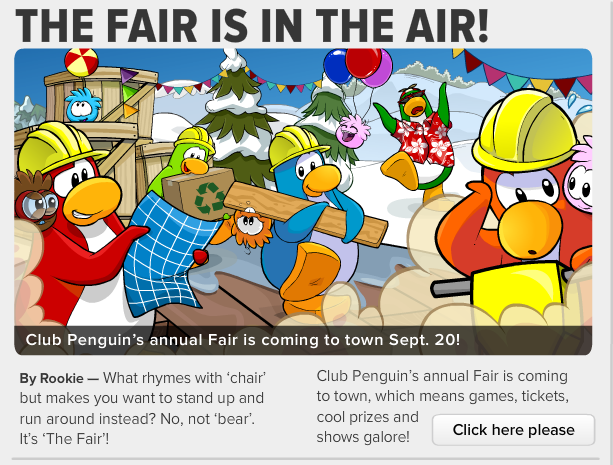 Recently Aunt Arctic published the 359th issue of the Club Penguin Times! The featured story is about getting ready for the Fall Fair. 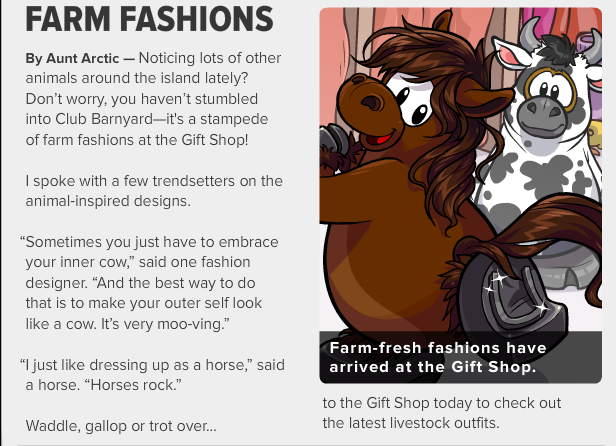 The second featured story is about new farm fashions in the gift shop. As always there is Upcoming Events. 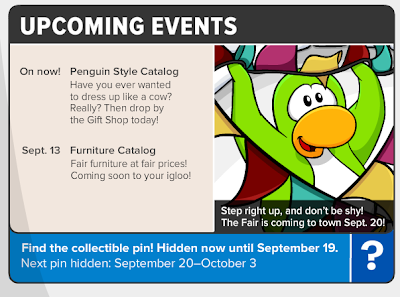 There is one upcoming event, it is the furniture catalogue being released on the 13th! The penguin on the upcoming events looks like he's having fun! Lol... nobody? What do you think of this week's issue? Leave a comment and let us know!